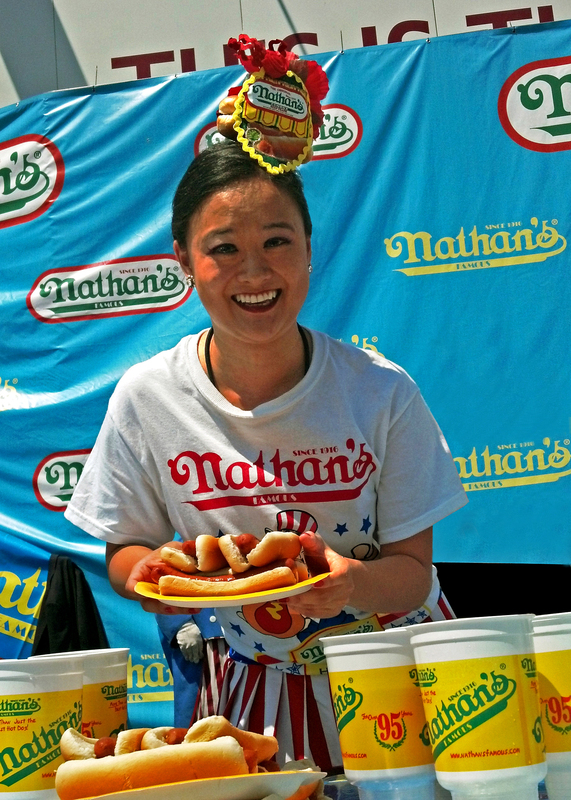 Dana Point Resident and competitive eater Mary Bowers will be hitting the international stage on Friday, July 4 as she vies for the top prize in the annual Nathan’s Famous Fourth of July International Hot Dog Eating Contest on Coney Island. Bowers, who is ranked No. 38 among male and female Major League Eaters, ate 10.5 hot dogs last year during her second Nathan’s appearance. In qualifying for the 2014 competition, Bowers consumed 11.75 hot dogs, a personal best. But on Independence Day, Bowers will go up against Sonya “The Black Widow” Thomas, who put away 45 hot dogs and buns in the 2012 contest. With the odds stacked against her, Bowers has her sights set on beating her biggest competition-herself. For Bowers, the most challenging part of competitive eating isn’t so much the physical aspect but more so the mental facet of continuing to eat when she thinks she can’t anymore. As part of her training, Bowers maintains a healthy diet, regular exercise and a steady sleeping regiment. She also makes sure she stays hydrated. Bowers mainly abides by a diet consisting of leafy greens and foods with lean protein leading up to competitions. The quantity varies from day-to-day depending on how hungry she feels. For more information about the Nathan’s contest, visit www.nathansfamous.com.